GLEE, I have to say it: I enjoyed your “Duets” episode at least twice as much as last week’s “Grilled Cheesus” show about faith, or even the previous week’s Britney Spears spectacular. The premise was simple: Everyone pairs off to perform duets. What was complicated was who paired with whom, and why. The prize was a dinner for two at Breadstix, and from the way the kids went crazy, one might assume Wolfgang Puck – or at least Gordon Ramsey – had take over the kitchen. “Great duets are like a marriage,” Will (Matthew Morrison) suggested, and in this case, it made for some strange bedfellows. I mean, Artie (Kevin McHale) and…Brittany (Heather Morris)? 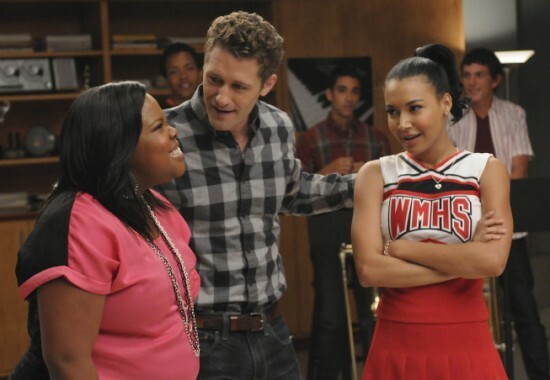 Santana (Naya Rivera) and…Mercedes (Amber Riley)? Quinn (Dianna Agron) and…Sam (Chord Overstreet)? And what happened to Mark Salling that necessitated sending Puck to juvie? Perhaps it was just a stunt to get Sam into the glee club? Ya gotta give GLEE credit for not backing down from the Big Issues. It’s not every light entertainment program that will tackle a heavy subject like religion – let alone address it in a mostly balanced fashion that did not implicitly endorse organized religion in general and Christianity in particular. In fact, it was so even-handed that no particular belief system was demonized. Finn (Corey Monteith) got the ball rolling by trying to make lunch one day. He tried to make a grilled-cheese sandwich, but what he got was a charred piece of bread upon which he perceived the image of Jesus Christ. Being Finn, he dubbed his lunchtime apparition “Grilled Cheesus,” wrapped it in plastic, and began praying to it. GLEE got off to a rough start for me this week, because I actually did not like the opening number, a rendition of “Ice Ice Baby” performed by Will (Matthew Morrison). I don’t have a problem with Morrison’s rapping – I really enjoyed his versions of “Gold Digger” and “Bust a Move” for example; it’s just that something about “Ice Ice Baby” left me cold. In fact, it wasn’t just Will. I thought the backing vocals were off as well. Maybe the song just wasn’t mixed properly from broadcast. 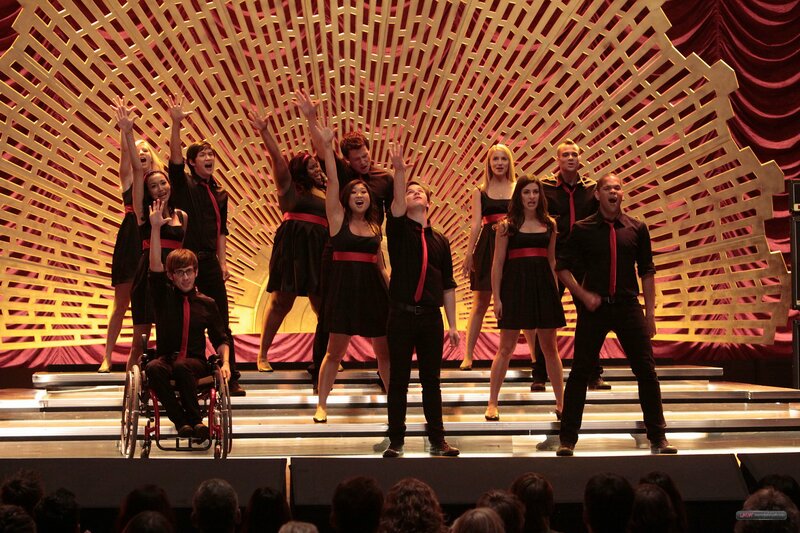 I’ve been trying, but I can’t recall another performance on GLEE that I really actively disliked.